Why a Mechanical Glitch is Like Kryptonite to a Parking Garage Business | McKee-Horrigan Inc.
Are you one of those ambitious individuals who dreams of owning a parking garage? Or are you one of the ambitious individuals who took action and actually started one? If you fit into either category, it’s great to see that you aspire to bigger things. Before you start making plans on how you’ll spend your fortune, there’s one thing you need to be on guard for if you want business to stay afloat. Technical and mechanical glitches are your mortal enemy! A gas station without gas is useless. An online store without internet access is useless. Likewise, a parking garage without a working door is useless. 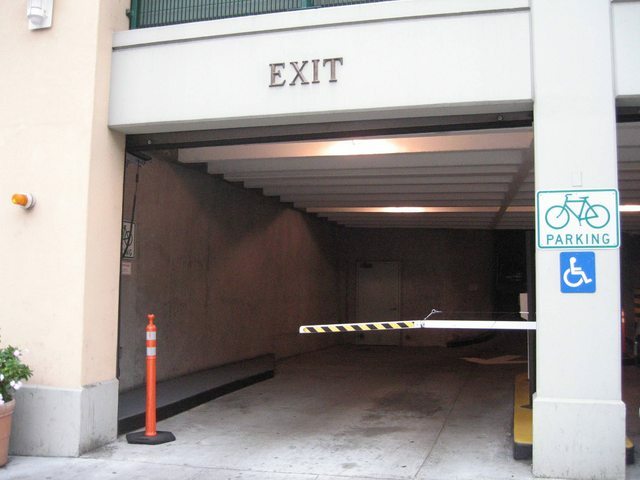 So you need to prevent or immediately address the glitches that affect parking garage doors, industrial ones specifically, since they’re prone to their own set of problems. Sounds like a big deal? It is. But you’d better make it a priority or else you could see your precious venture turning into something else, like a lot for over-priced condos. Meet Gary. He wakes up at 6 am, makes breakfast and serves as the family alarm clock. He gets dressed, usually wearing one of his favourite plaid shirts, and cracks jokes to wake up his groggy wife and kids. Gary rambles on in the car until he drops his wife at the office, then, his kids at school. He drives back home and spends maybe two or three hours checking emails and spreadsheets. After that, he calls it a day at 12 pm. He pours himself some brandy and ponders whether he should play squash or his son’s Playstation. Welcome to the beautiful life of a parking garage owner. Although it seems like a means to care-free and rewarding lifestyle, there are just as many responsibilities as there are perks. Gary is a go-getter, but he sometimes skips over the smaller, yet essential details. As a result, he forgets to have the doors of his parking garage serviced and maintained, allowing the openers and sensors to malfunction. While he enjoys the fruits of his hard labour, angry customers honk at each other as they try to exit the garage with much trouble. The only thing that can save Gary’s reputation, is intervention by means of immediate repairs. The lesson? If you’re going to succeed in this kind of business, remember that industrial garage doors need regular and professional care. So don’t allow ambition to cloud your judgement. By the way, this is not based on a true story – at least not one that we know of. Now you have to realize that uncertainties will get the best of you, and life tosses unwanted surprises at inconvenient times. But that doesn’t mean you should throw your hands in the air, raising a white flag so to speak, and leave your business in the hands of fate. You have to take action! With that said, you need to know the common glitches associated with industrial garage doors before you can fix them. The list of problems can go on and on. The conditions that afflict them are quite unique within themselves, and even those with similar issues can still have some differences. As a result, it’s important to have your doors examined by professionals who can identify the root cause, and fix the problem in the most effective way. That brings us to our next point. Imagine one of your customers, late for an appointment, that has to put up with a door that won’t open. Imagine one of your customers having to deal with a door that slammed shut on their windshield, cracking it. The thought of these things happening might be enough to make you cringe. You’ve probably read those articles where doctors say an early diagnosis is the key to treating and curing certain diseases. In terms of a parking garage, or any business for that matter, finding flaws sooner rather than later is essential for staying profitable. It doesn’t take much time for customers to warn their friends about a parking space with poorly functioning doors. Profits will plummet once the word travels. But the power is in your hands to prevent that from happening. Remember the fictional story of Gary the garage man mentioned earlier? Have fun, but don’t be too lax about your duties – owning a parking garage is a big responsibility. Therefore, make sure to keep up with your maintenance practices. Regular observation will stave off the more serious glitches and reveal them early if they occur. There’s a good chance that you’ll be inundated with tasks, and that means you probably won’t have the time to make your own fixes. However, you may not have the necessary experience to handle fixes on your own, and risk getting injured or causing further damage. That’s where a certified technician comes in handy. These professionals have the tools, know-how, and resources to diagnose and repair the problems of industrial garage doors. If your customers make a complaint, take it seriously! Some people are demanding or unrealistic even, but if frustration arises over a glitchy garage, then it’s worth investigating. The last thing you want is declining profits in an otherwise lucrative business. Looking at the fictional story of Gary, we can admire his passion and sensibilities. Why? Well, a parking garage is a great business to say the least, and the financial gains can be substantial. Before the luxury and freedom, however, there’s hard work, and that means constant maintenance to avoid glitches that could hamper profits. Your efforts to complete the necessary repairs keeps industrial garage doors functional and business healthy. Of course, you shouldn’t take it upon yourself to make fixes, since there are plenty of technicians experienced with the handling of overhead doors. So go ahead and dream about living that flexible life you want. Owning a parking garage can do it for you, provided that it’s well maintained. Looking for advice regarding the maintenance of industrial garage doors? Get in touch with us so that our technicians can assist you!